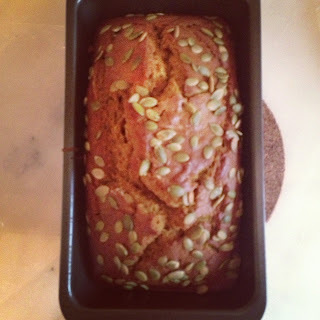 Last year, for thanksgiving, for the first time I made a pumpkin loaf. My little sibs fell in love with it and has now become a staple request for thanksgiving. 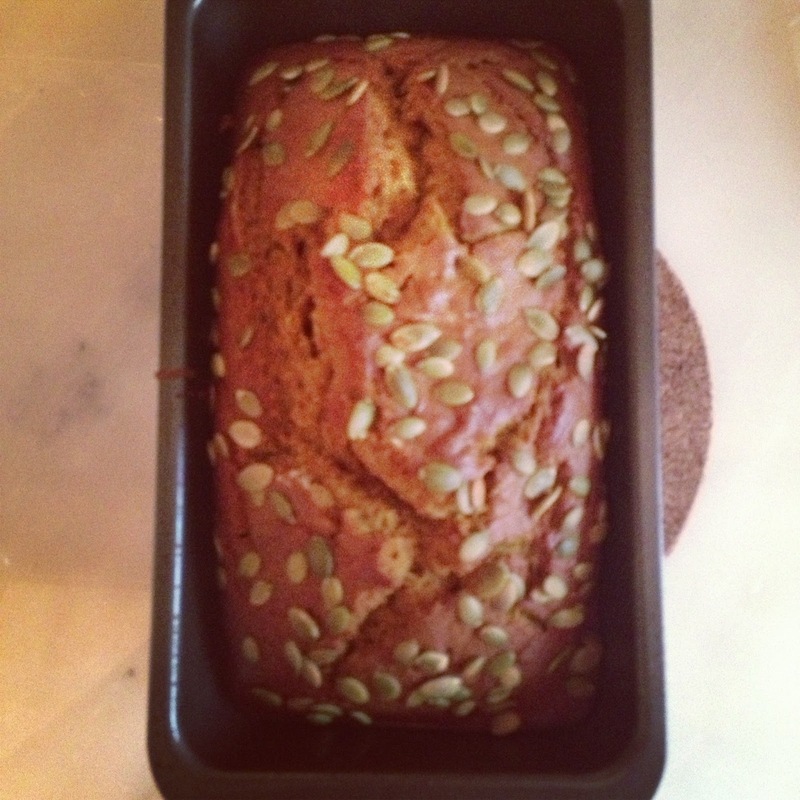 Today I cooked my first of the three thanksgiving dinners and of course pumpkin loaf was on the menu. I wanted to share this great, easy, festive and thanksgiving spice filled recipe! 2. In a large bowl with a wooden spoon or electric mixer, beat together eggs, pumpkin and oil. Gradually add flour mixture, until blended. Spread batter evenly into the loaf pan. Sprinkle pumpkin seeds over the top.